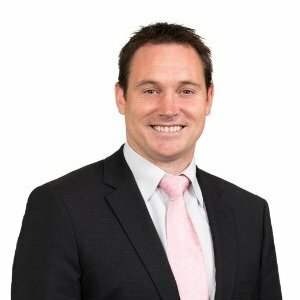 Andrew Mehrtens, the former All Blacks great who has spent the last several years in financial services commuting between Australia and New Zealand, has left his current role with BNZ to return full-time to Australia. Mehrtens moved to Australia with his family to take up a senior sales role, in 2013, with a wealth manager run by a former Wallaby captain and friend, Phil Kearns. When that company was taken over he moved on to join the National Australia Bank – BNZ’s parent company – in Sydney in 2015. For family reasons, he took up a new role in 2017, working mostly back in New Zealand with BNZ but spending a week-or-so a month in Sydney with NAB Asset Servicing. NAB and BNZ allowed him to continue his rugby commentary commitments but back in Australia – as all New Zealanders would understand – it was more difficult to justify this ‘distraction’ commercially. Mehrtens was originally lured to Australia by Phil Kearns to head up his sales and marketing at Centric Wealth, which was acquired by another wealth manager, Findex, in 2015. Most of the senior management at Centric Wealth, including Kearns and Mehrtens, were gradually replaced by Findex people over the next year or two. Back in Australia, NAB has been going through challenging times, due in no-small-part to the results of the Royal Commission into banking, insurance and superannuation. And there was no room for another full-time sales executive there. Mehrtens officially wraps up his BNZ stint this week. He is understood to be negotiating other potential positions within financial services in Sydney with one trans-Tasman group possibly in the frame.